In the competitive world of Web 2.0, email is one of the must-have applications. 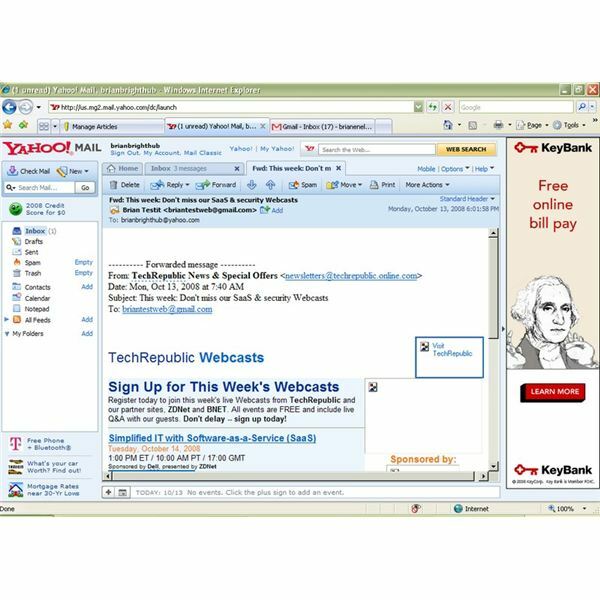 Web based email has come a long way since the days of 50 MB storage restrictions, limited formatting, and reading capability. These are the best the big boys can dish out. The pioneer in this area, Yahoo was one of the first major companies to offer free email to anyone who wanted to sign up. Originally conceived as a way to bring users to Yahoo and keep them coming back, Yahoo Mail took on a life of its own as users discovered that changing jobs or changing ISPs (whether voluntarily or due to moving) meant changing email addresses, and just maybe losing all their email in the process. Yahoo long ago lost its status as an innovator in the web email based space, mostly due to clinging to the concept of a free email and a “premium” email which once provided additional features to users for a reasonable fee, but now just charges for services other vendors offer for free. As a free user you are limited to just 15 filters. Other email systems allow you to have lots (some unlimited) filters for free. Yahoo Mail allows you to link just one other email account for free. Others allow many for free. You have to upgrade to use POP3 which means that Yahoo Mail accounts are worthless for Outlook or any of the other great email clients out there that are already commonplace on many users’ systems. There is hope. Yahoo purchased email client maker Zimbra. The free download of Zimbra’s email client supports access to your Yahoo Mail. You are still locked into one client, but at least it is a step in the right direction. The good news is that Yahoo allows mobile access to Yahoo Mail either through its own client or the pre-installed client on many mobile devices including most wireless carriers default email application. Yahoo’s main appeal is that it also offers solid solutions for Contacts, Calendar, and note services as well. Watch Here for a look at the Big Boys’ Contacts, Calendars, Notes, and More. Web based email is a must have if a company is going to be a major player in the Web 2.0 space. Even small startups are offering web based email to their users. But, when it comes to major online email systems, these guys are the big ones.